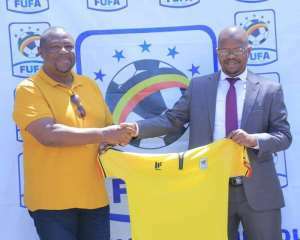 Uganda FA boss, Moses Magogo has hailed the appointment of Paa Kwesi Fabin as the Uganda U17 National team coach. The former Black Starlets head coach was named as the head coach of the Uganda u-17 head coach on Wednesday. The former Kotoko and Inter Allies trainer has already been tasked to help the side excel in their maiden U17 Cup of Nations tournament in Tanzania. However, Magogo has lauded the qualities of the Ghanaian coach. “I, therefore, take this moment to announce Fabin Kwesi Samuel as the new head coach of the U17 national team,” he said in a press conference. "He has experience with such teams having coached the Ghana U17 national team. "We, therefore, welcome you to Uganda. The former Ghana U-17 Coach will embark for a training tour in South Africa with his new team where they will prepare for the upcoming competition in Tanzania.